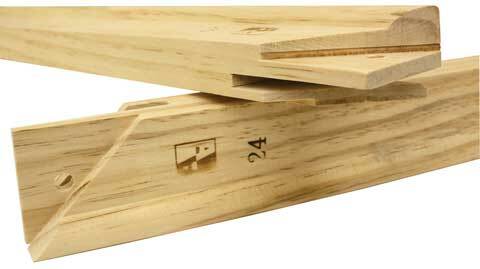 Heavy-duty solid pine stretcher bars are kiln-dried and finger jointed for stronger, straighter, warp-resistant bars. They feature a tongue and groove miter for easy assembly and a slotted back for easy installation of corner and cross braces. The profile of the bar keeps the canvas up and away from the bar, preventing sagging and impressions on the painted surface. The rounded back edge allows for a tight stretch and an even painting surface. Each bar measures 2"w x 1.5"d and has an 8mm peg hole.